Laslett England’s Faded Star Blue Scarf is such a gorgeous color! This super-soft blue wool scarf is crafted from a luxurious superfine 100% wool and features a hand-fringed hem; it’s silky and all-purpose as a gift for all seasons. 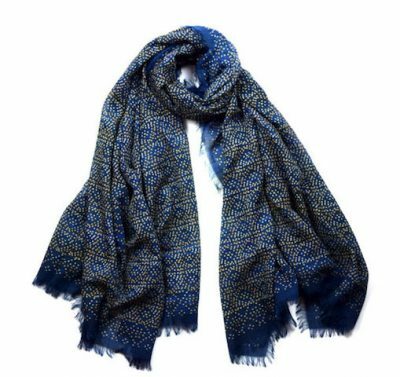 The star pattern is combined with a textural print effect to give a vintage aesthetic, and the deep indigo and blue tones of this scarf render it the perfect pairing with denim or even with a more formal outfit. It can be worn loosely draped or tied more conventionally for a smarter look this holiday season. You’ll love browsing ALL of the elegant wares at https://laslettengland.com. 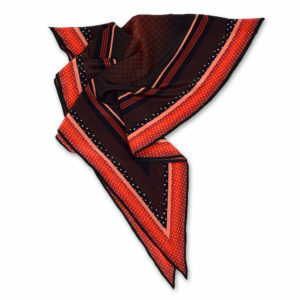 Order now for holiday – this is one of many beautiful Laslett England scarves. Consider their Bespoke options, too. 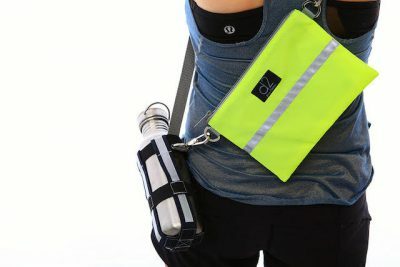 The D2 Bag is a genius way for a runner or traveler/trekker to carry a water bottle while running and to run hands-free. Toss it into your luggage this holiday season for hands-free touring or workouts wherever you roam, whether adjusting as cross-body or over-the-shoulder, or as a clutch. This bag’s sleek and modern design transitions stylishly from a long walk or bike ride to lunch at a waterfront restaurant, and it’s ideal for all those times when you don’t want to feel weighed down carrying a larger tote. This is a perfect gift for athletic friends and family members, and those who love to travel. Made in California, the D2 bag can also be a bag-within-a-bag, whether for beach days, gym totes or cosmetics, etc. Find it at http://www.d2drivedefine.com. Never lose another water bottle. My D2Drive/Define bag is the perfect accessory to carry my phone, car keys, money, and lipgloss. It’s stylish, water resistant, and affordable! 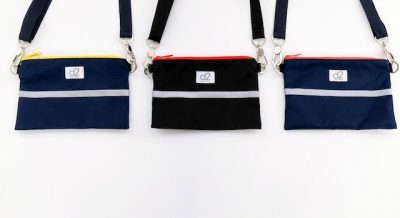 This convenient crossbody bag is the perfect size for running errands, walking my dog or watching sports on the sidelines. Everyone needs the D2Drive/Define bag! I just got the d2 bag and love it so much, I bought one for my daughter (who is a college student) as a gift. It is great looking and comfortable to wear – so light and holds all the essentials plus more. I use it for hiking and travel. It is also terrific inside a larger bag or tote to keep your stuff neat and easy to find (I brought it to the beach this summer and threw it in the tote). Get this bag! I love my D2 bag! It fits just what I need – and keeps me from feeling weighed down. Its cross body and very light; cute and stylish for being out and about; and also very practical for the day to day errands, walking the dog, etc. I am rarely without it! I love my D2 Bag! It’s been great to grab a few things when I don’t want my heavy purse. I’ve used it to go the soccer field, on a hike, taking a walk around town. It’s cute and functional. It holds just what I need. I love my D2 bag. I’ve taken it everywhere – summer vacation with the family, camping, to the gym, taking my dog on a walk (plenty of room for treats) and out on the town (even has a reflector strip). It is the perfect size. It can fit my keys, lipgloss, money and my 2 phones easily (I have 1 for work and 1 personal). The metal clips swivel and the size & where it fits, is amazing. You can even take off the strap and put it in your purse to get organized! I use it more than my big purse!